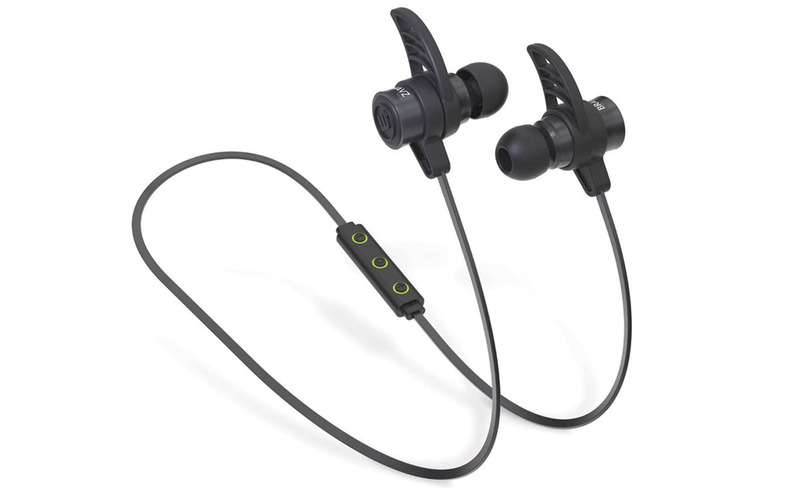 Brainwavz recently released their second active, wireless, and bluetooth earbuds. The Brainwavz BLU-200 is the second generation of the Blu models, hoping to improve many of the previous setbacks. With these, they are definitely on the right track. The Brainwavz BLU-200’s main focus is towards the active aspect of our lives. They feature Bluetooth 4.0 which allows you to connect these to your Bluetooth enabled devices. This also allows you to be a maximum of 30 feet away from your device and still be blasting music. The earbuds are charged via microUSB(included) and will be fully charged in about two hours. Off of those two-hour of charging time, the 60 mAh battery will deliver about 4 hour of playback. The earbuds have a control panel on the cord that features: volume control, play/pause, next song, previous song, voice dial, answering and ending phone calls, and redialing the last number. The headphones themselves are made from matte CNC aluminum, causing them to be lightweight yet durable. My personal experience with the earbuds has been nothing but positive and with the price at where it is, you can not beat these. The earbuds will remain in my ears for about 80% of the time, with an exceptionally big jump or leap causing the to fall out. The earbuds come with an ear piece for added stability in the ear. The sound quality and maximum volume also seemed to receive a large jump compared to the previous model. The lyrics are clearer and the bass is slightly stronger. They are also fairly isolating, I can truly focus on the music instead of my surroundings. One of the nicest things is not having to worry about cords. Cords are always getting in the way, tangling up, and making life difficult. These earbuds erase all of those things and you truly don’t realize how big of a deal that is until you try these earbuds for yourself. There are only a couple of things that are still on the table for improvement for the Brainwavz BLU-200, one being the stability. Although they came a long way from the previous model, they simply do not fit and stay like some of the competitors. This is extremely evident when running on a treadmill for example, continuous bouncy will eventually cause the earbuds to shake loose. Also the earbud itself protrudes the ear significantly. This could be another reason why they are so easily shaken. The Brainwavz BLU-200 earbuds are great for everyday use and for working out or physical activity. They will free you of cords and allow you to bring your music with you anywhere. The sound quality is very good for the compact size, and the volume will reach higher than you will even ever need. The strong CNC casing will keep you earbuds safe and intact. Overall the Brainwavz BLU-200 are a great set of earphones.